Where can you buy fresh strawberries, salad greens, pastries, homemade dog treats, beaded jewelry, wind chimes made from broken crockery, artistic photographs, and tie-dyed everything? That’s right: the farmers’ market. The Newport Farmer’s Market reopened last Saturday on the grounds outside City Hall. The weather ignored the predictions and offered blue skies and warm sun as hundreds of people strolled among the booths, toting cloth bags for their purchases. Many brought babies and/or dogs that darted around sniffing each other and inhaling the delightful scents of hot pizza and kettlecorn. 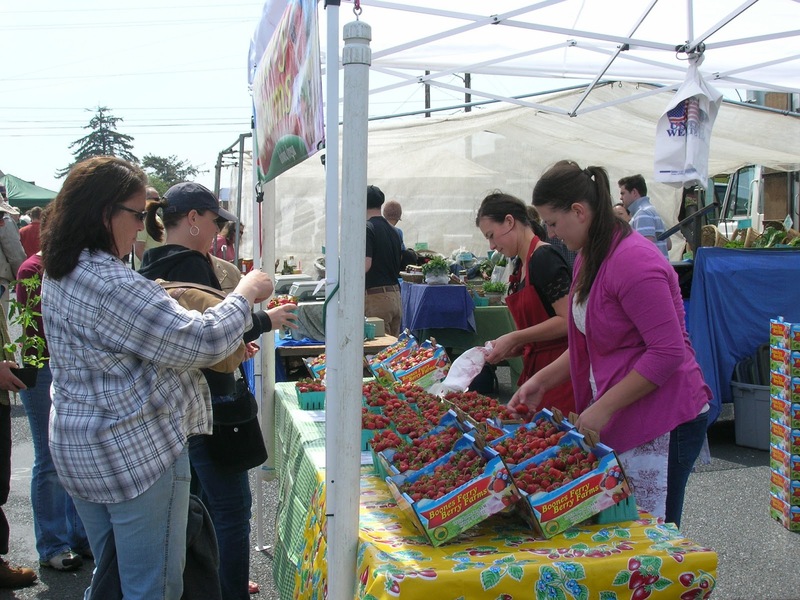 The Newport Farmer’s Market continues through the summer on Saturday mornings at City Hall from 9 a.m. to 1 p.m. We’ve also got farmers’ markets in Yachats (Sundays 9-2 at the Commons), Waldport (Wednedays, 10-4:30 at the Community Center), Lincoln City (Sundays 9-3 at the Cultural Center), and heck, probably every town in Oregon. Maybe I’ll see you there. Annie would probably enjoy YOUR turkey wrap ! 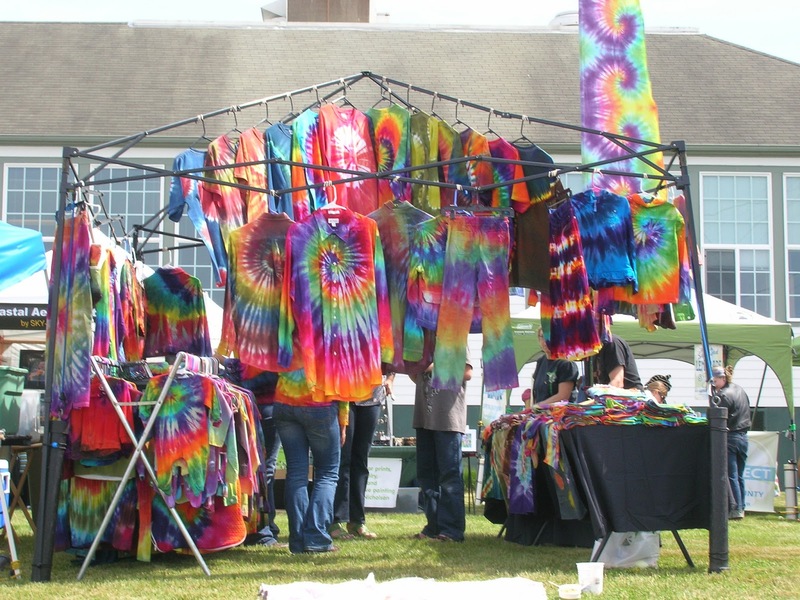 😉 Great blog post…LOVED the tie-dyed everything photo especially. Next Next post: OMG! They can see me!